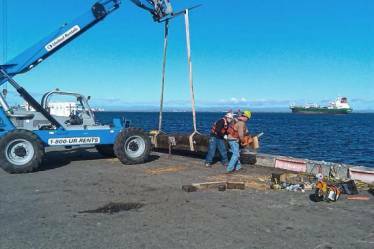 The Fender System Repair on Terminal 3 was part of a $400K improvement project undertaken by the Port of Port Angeles, Washington in 2011. Portland Bolt supplied galvanized timber bolts and malleable iron washers to the contractor who was awarded the project. 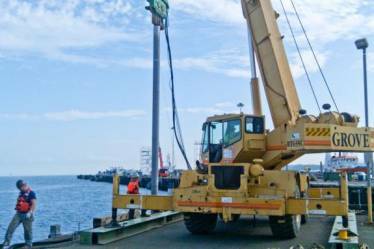 The project involved the driving of 18 new steel piles, as well as removal and replacement of hundreds of feet of the terminal’s fender system, whalers, and chocks. Portland Bolt’s large inventory of malleable iron washers and other marine fasteners, and our ability to manufacture timber bolts, as well as galvanize them in-house, allowed us to deliver this product quickly to the customer who was working within a tight timeframe restricted by both weather and the tides. Whether your project is simple or complex, whether you are next door or across the country, or even overseas, our team of experienced estimators can help you get the bolts your project requires!